The guest opinions presented below are responses to Inman News’ second “Real Debate” topic: “Is Zillow’s new ‘Coming Soon’ listing feature good or bad for the industry?” We invite you to share your own thoughts on the matter in the comments section of this article, and by particpating in the survey below. For more background on the topic, see Inman News’ write-up on the rollout of the new feature here, and a follow-up story on reaction by industry players here. 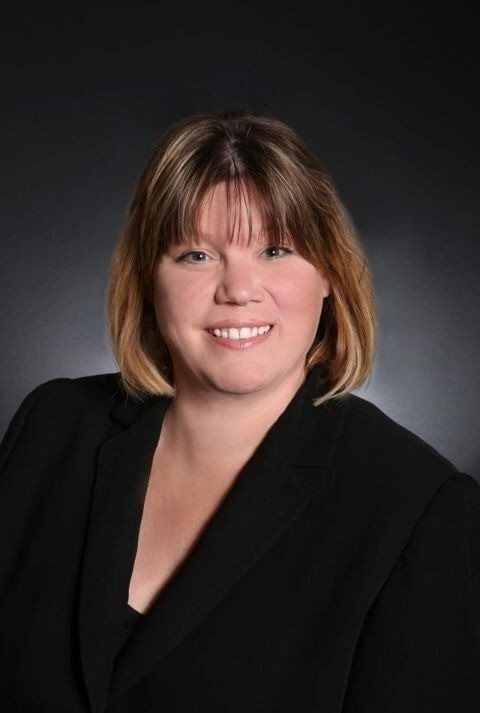 Bobbie Files, an agent with Success Real Estate in southeastern Massachusetts, says the practice of premarketing listings is not new. Zillow’s new feature is just another way to do it. I see both sides of the situation and understand the concern some have with Zillow’s “Coming Soon” feature. However, as a listing agent I premarket my listings every day of the week, with no Zillow “Coming Soon” feature. When I know I have a listing coming up, I start talking about it, telling other agents, telling friends and family members, etc. That is my job! There is the argument that by placing listings on Zillow before the MLS agents are limiting their market exposure and breaking the fiduciary obligation to the seller. I find that argument without merit. Premarketing a home is not limiting the marketing, it is adding to it. Zillow, like it or not, is one of the most visited real estate websites in the U.S. By letting the general public know of an up-and-coming property on Zillow, I am exposing it to more people rather than less. That is just a statement of fact. The suggestion that using Zillow to premarket listings breaks an agent’s fiduciary duty is also without merit. If a home is marketed on the most visited real estate site in the U.S. to gain demand and attention to help procure the most ready, willing and able buyers, how is that a negative for a homeowner? There is also the argument that Zillow “Coming Soon” listings represent “pocket listings,” and that the feature is promoting “unsportsmanlike” behavior. That, too, is without merit. Zillow is not just available to the public — agents can look at the site, as well. This Zillow feature is not much different than looking at for-sale-by-owner sites or Craigslist when searching for a home for a buyer. As a buyer’s agent I am making the assumption that agents are looking to identify all properties for sale for their clients, not just those listed by a real estate agent. Furthermore, in a hot and active market like the one we are currently experiencing in Massachusetts, premarketing and off-MLS deals are happening without any real intent. If an agent is active in the industry and mingles with fellow agents, as well as with consumers, there is the likelihood of being able to match buyer and seller without the necessity of MLS. Not all sellers jump for joy at the prospect of having their homes experience an onslaught of buyers and agents. And the convenience, ease, and relatively low stress aspect of a presell situation may be worth the few thousand dollars more that they may — and the operative word is may — be able to garner in the open market. Non-MLS is not synonymous with nonmarketed. Agents in my area are currently doing something similar to premarketing on Zillow. They put the home in MLS on a Sunday evening and indicate that the first showing is not until the open house the following Sunday. What is the difference between that and premarketing on Zillow? I don’t necessarily see the Zillow “Coming Soon” feature as a wonderful thing, but I also don’t see it as the problem some others do. If all the national franchisors forbid the practice, then it may end up being short-lived or it could give the small boutique brokerages an edge up on the big boys. I see this new Zillow feature as a premarketing tool and not a preselling tool. The home will still be put in the MLS at the agreed-upon time and at the agreed-upon price as stipulated in the contract between the broker and homeowner. Homeowners, as such, should have the choice as to where and when their home is marketed. Screen shot of Zillow’s new “Coming Soon” page. Sam DeBord, managing broker of Seattle Homes Group and Coldwell Banker Danforth, says brokers must consider the regulatory implications when considering whether to premarket their clients’ listings on Zillow. Unfortunately for brokers, there are new enticements every day to lead their agents astray from focusing on their clients’ best interests. 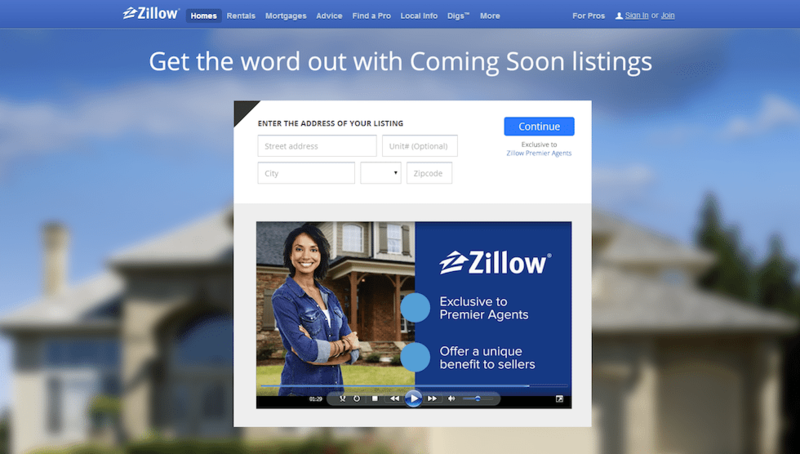 Zillow’s new “Coming Soon” listing feature is just another example on a very large stage. The champions of broad Internet exposure are, ironically, inviting agents and their sellers into a limited-exposure marketing period on a single website that attracts plenty of eyeballs, but still less than 20 percent of all real estate traffic. Let’s not mince words here — many, many “coming soon” listings on Zillow are going to be sold before they ever “arrive” at full market exposure in the MLS. They’ll be sold before other agents with buyers have access to them. That’s the attraction. To deny it in this money-driven industry would be disingenuous. Selling properties during a premarketing or “coming soon” time period could open up brokers up to scrutiny and liability. We’ve already seen warnings from regulatory agencies about these practices. Listing agents who sell homes off-MLS with the Zillow “Coming Soon” feature will be stating, in practice, that they believe the exposure of marketing properties through an Internet portal is helpful to their clients’ bottom line. So, then, how will they justify depriving their clients of the free simultaneous exposure available to them through the MLS and syndication? How will they show that they responsibly convinced their sellers that it was beneficial to skip exposing their homes to countless agents with buyers, brokerage websites and the other marketing portals? How could they possibly explain away the fact that this strategy puts the listing agents in a position to close sales more quickly, to make more money on a transaction, and at the same time limits the demand for their sellers’ homes? The answers are simple: They can’t. The defenses for limited exposure models are varied and plentiful, but none hold up to scrutiny for virtually any of our clients. We know this, our agents know this, and regulators are starting to notice. The only people who often aren’t so sure are our clients, and it’s our job to fully educate them without giving in to the ease of a quick sale, a double-side, or an extra few buyers leads at the expense of a competitively driven, higher sale price. If we can’t be honest with ourselves and work together to end listing tactics that are not consumer-friendly, it seems that regulators might be preparing to provide us with some motivation. Let’s take the high road for our companies, for our agents, and for our clients, while we’re still ahead of the curve. Randy Zimnoch, director of acquisitions and sales at San Diego-area investment firm CT Homes LLC, says Zillow’s new “Coming Soon” listings feature gives his firm a new way to market homes more quickly, which saves his firm money. I’m actually really excited about Zillow’s new “Coming Soon” feature. Our investing business, CT Homes LLC, has its own brokerage called Realty National Inc., and we start marketing our properties from the day we buy them. As investors, we borrow money for our redevelopment projects and there is a cost to this. Every day counts in the rehabbing business, so the sooner we find a qualified buyer, the better for all involved. Even though we don’t presell that many properties since most buyers don’t have the vision of the “after” product, we do, however, make sure to invite them to an exclusive open house before the property hits the market. This creates great urgency for the potential buyers and also makes them feel special because they are getting a first crack at the property. Of the 60 homes we have sold through our brokerage so far this year, five have been sold before they hit the MLS. The average savings on the presold properties come to around $7,000 per property for us as investors. When we presell a home, we don’t have to stage it, which runs us about $3,000 per property; we don’t have to spend money for marketing once it’s listed, which runs us about $1,000; and we also cut our holding time by a minimum of 15 to 30 days, which saves us the per diem we pay lenders, which averages approximately $150. I am really looking forward to taking advantage of Zillow’s new feature and I wish that our multiple listing service had it as an option as well. I know we will generate a lot of leads from these, and some will work out and some won’t just like with any lead. At the end of the day, the decision on the marketing strategy of a home is up to the seller, and we as sellers get to either accept, counter or reject an offer. No one is pressuring us to take an offer, so I don’t understand the negativity that some agents are expressing to the feature. Another aspect of the new feature that may be overlooked by some agents is the fact that Zillow places listing agents next to their listings. Buyer’s agents can then call us if they have an interested and serious buyer and we might be able to pre-sell it to their clients. The pocket listing is no longer a pocket listing. This is so good for the industry! Jim Gatos, an agent with Keller Williams Realty in Westborough, Massachusetts, says the new Zillow “Coming Soon” listings feature doesn’t serve sellers well, but is a ploy by Zillow to lure more agents to advertise. I’m disappointed and dismayed at Zillow’s newest “innovation,” which really just reeks of “pocket listings,” Zillow style. It seems Zillow’s new “Coming Soon” feature is just another creative way for it to force real estate agents who aren’t currently advertising with it to start. 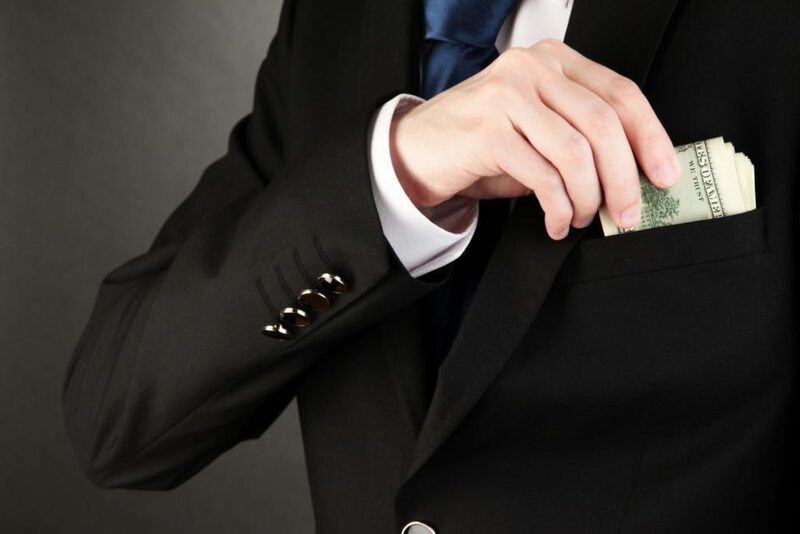 As fiduciaries, real estate agents (as “agents” for their clients) have to act in the best interests of their clients, always. Although this “coming soon” feature isn’t really a pocket listings play, because the public can see the listing publicly, it is limited only to Zillow. I don’t know how this benefits sellers. Want to get the best price for a client’s property? Put the listing in the MLS and send it to all of the portals and expose it to the world all at once. 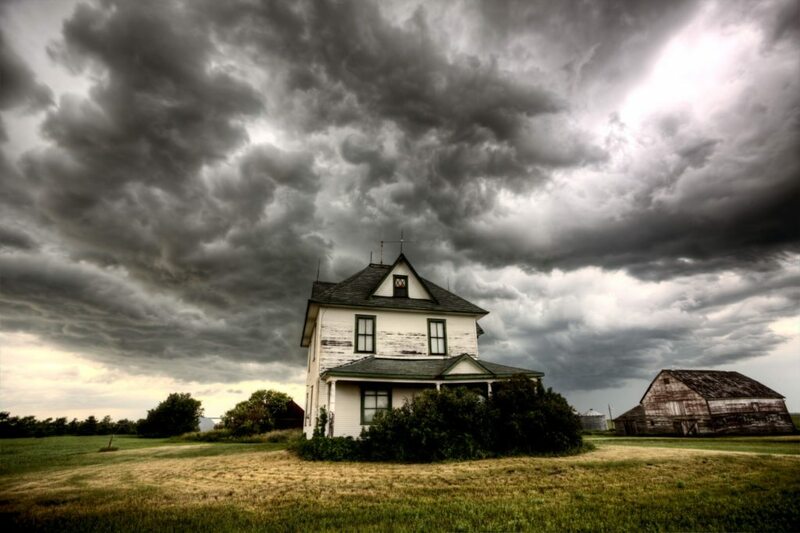 The excitement about a new listing creates want, fear of loss, offers and, ultimately, the best price. Advertising the property exclusively to Zillow in this way will only expose it to a certain subset of buyers. This is just another scheme by Zillow to now force buyer’s agents to go on its site everyday to check for new listings for their clients. First, Zillow went after the buyer’s agents who couldn’t generate enough leads on their own. Now Zillow is going after listing agents who can generate leads for listings but haven’t as good at drumming up buyers. I can’t even begin to see the mess, confusion and anger it will cause among agents, agencies and MLS boards all over the country on account of this feature. Editor’s note: An earlier version of this story included some comments from Sam DeBord on the Zillow “Coming Soon” listings feature as it related to fiduciary duty. The updated version of DeBord’s take focuses on the regulatory implications of the feature. Do you agree with any of our contributors? Join the debate by sharing your thoughts in the comments section below.